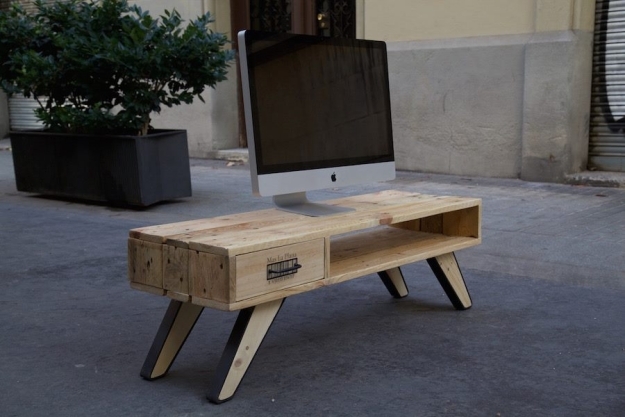 You would have seen a number of pallet TV stand ideas on our website prior to this one, but I believe this one is the best among all of them. 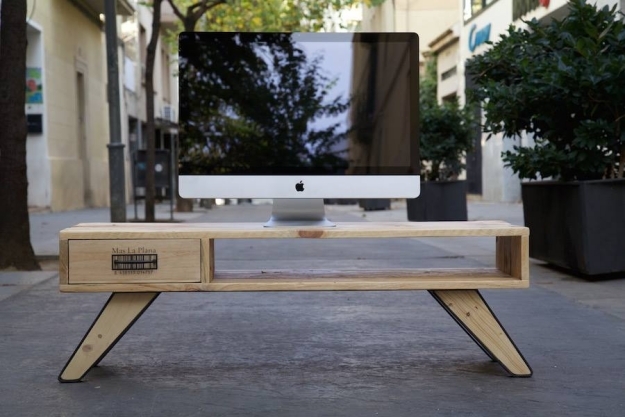 A TV stand is a must have for almost every house. Who doesn’t like to spend hours and hours watching favorite TV shows? Even I am very much obsessed with watching TV. 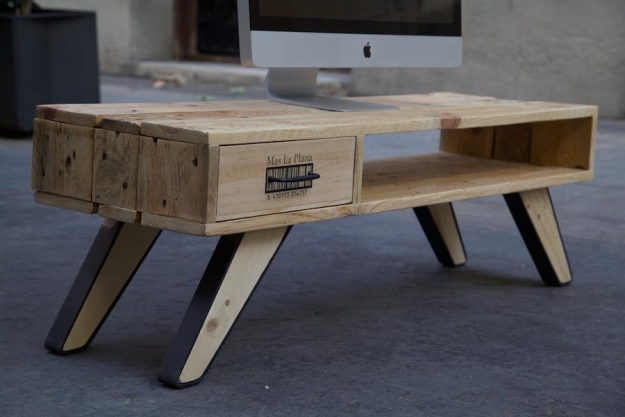 This hobby of mine compels me to keep working on pallet TV stand ideas as they really fascinate me a lot. Mostly my Sundays are planned to watch the TV all the day long. A TV stand is supposed to be a specified stand or installation that keeps our TV set just above the ground and ensures its security. It also supports the proper height for the proper vision as you can not watch the TV properly which is put on the ground and you are watching it sitting on some sofa or couch. 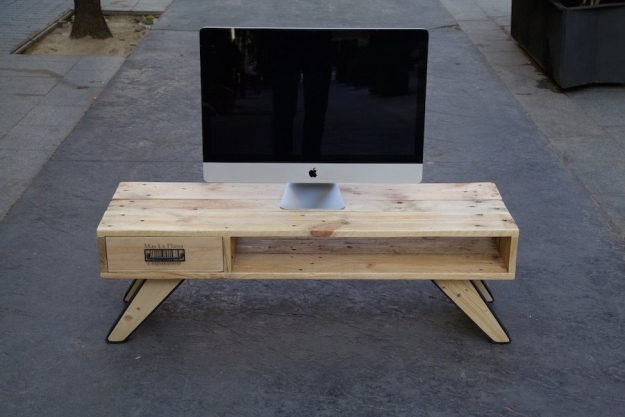 So a pallet TV stand has been a great inspiration throughout our pallet recycling journey. And pallet gives a strange rustic and charming look to the ordinary pallet stand that it literally turns to special just like the one we are going to talk about. This is the most decent pallet TV stand so far I have recycled. There is a tiny drawer on one side of the table sided by some empty space that might be spared to place some DVD collection or TV remote. While its outward bent stylish curvy legs are just escalating and triggering its beauty. 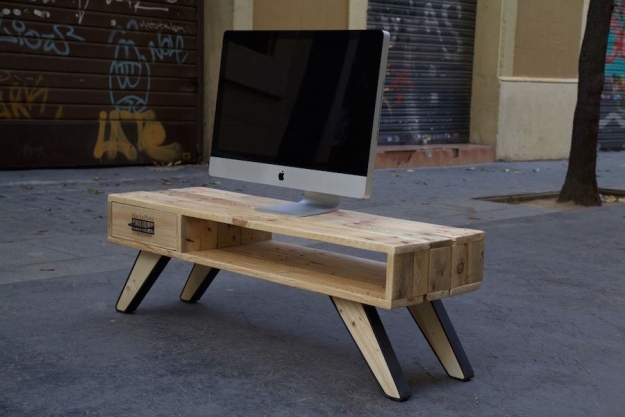 I would love to have this pallet recycled TV stand right inside my TV lounge. It doesn’t require much space, and its unstained rustic look is literally killing me. Just can not wait to start working on this handy one.